Breaking previous conceptual boundaries, the MOAB was created in search for a ‘productive lure’ for all species: Seabass, Flounder, Flat-Head, Trout, Largemouth Bass, etc. It captivates minnow eaters in various environments. The slim, floating 120F is a model which covers the surf, rivers, lakes and rocks. 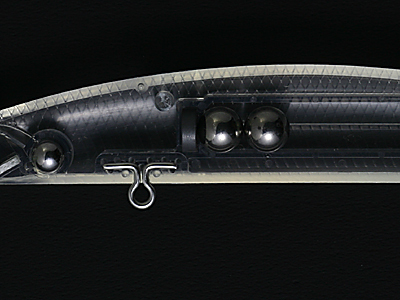 A magnet secures the main moving weight, giving a consistent swimming action. This swim balance is suited for not only strong rip currents but also fast flowing river currents that home to Trout. Its action comprises of a tight ‘Wobble & Rolling’ action, with emphasis on ‘Rolling’. 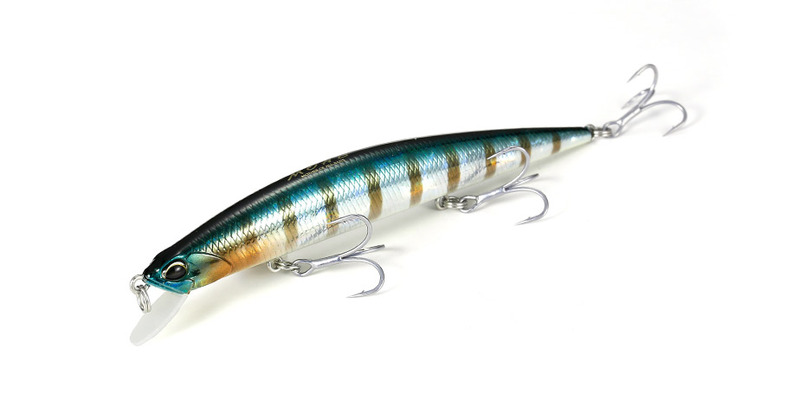 The lure is designed to catch the water positively, giving a slightly deeper swimming range and creating a definite feel for the angler while transmitting important information about the current. Using circuit board material for the lip has dramatically increased its strength. With a lip that is much less likely to break, the angler can pursue a much more aggressive approach. The moving weight is a 6.4mm steel ball, secured with a magnet. In addition, a 4.8mm steel ball is used as a fixed weight in the front section. 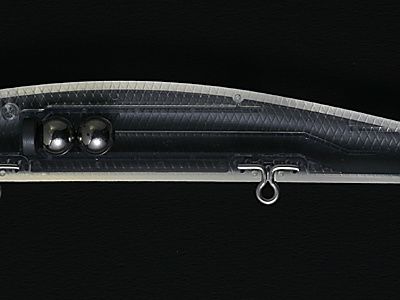 The track for the moving weight is straight, resulting in a smooth transfer of the weight ball. This in turn effects a faster initiation of the swimming action. 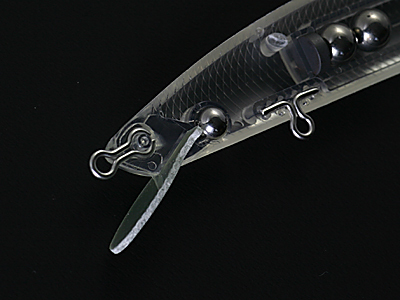 The lure is made from three pieces, utilizing the circuit board material for the lip. This gives the lure both greater strength and better action response.